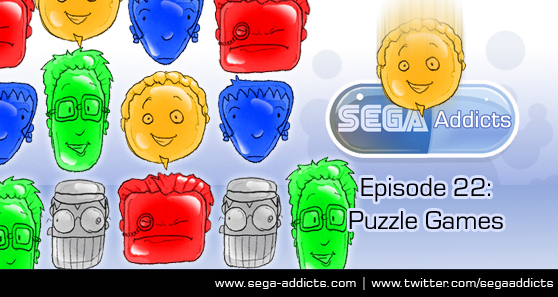 Welcome to the 22nd episode of Sega Addicts. We talked about our least exciting food intake of the day, clubs, puzzles, and milk. It was nice. Also, this is the first week of our weekly contest to win each episode’s Sonic Gem. This week’s prize: The Club (360/PS3). Details on the contest here. Columns is one of the only games left on the SUGC that I haven’t gotten a trophy for because I have no motivation to play that game. It’s just so uninteresting. I guess I’ll try the save state thing. I have a buddy that still contends that Columns is fantastic. Can’t figure out why.